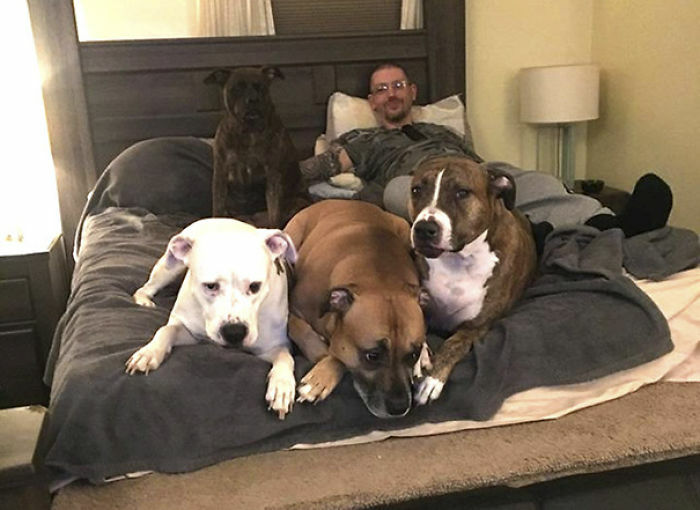 Meet Aaron Franks, a man from Pennsylvania who lives with four dogs – Tessa, Bruno, Cooper and Mia. 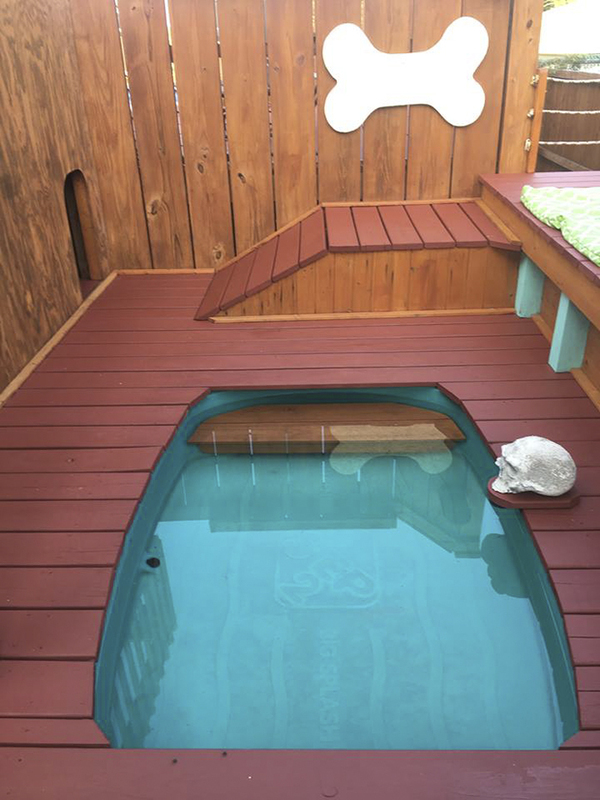 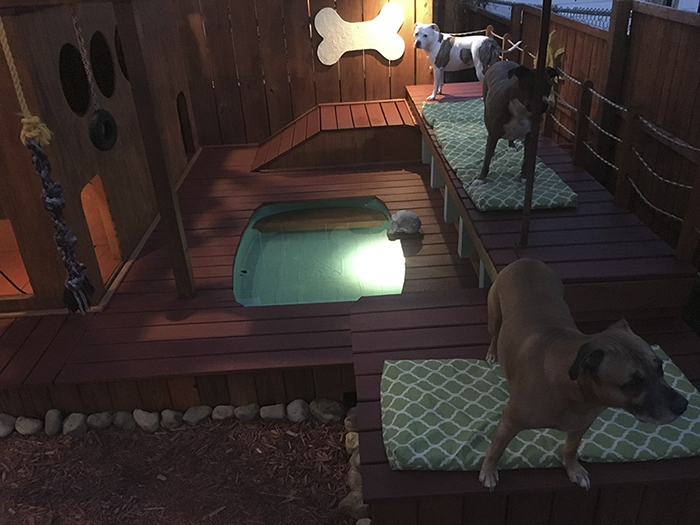 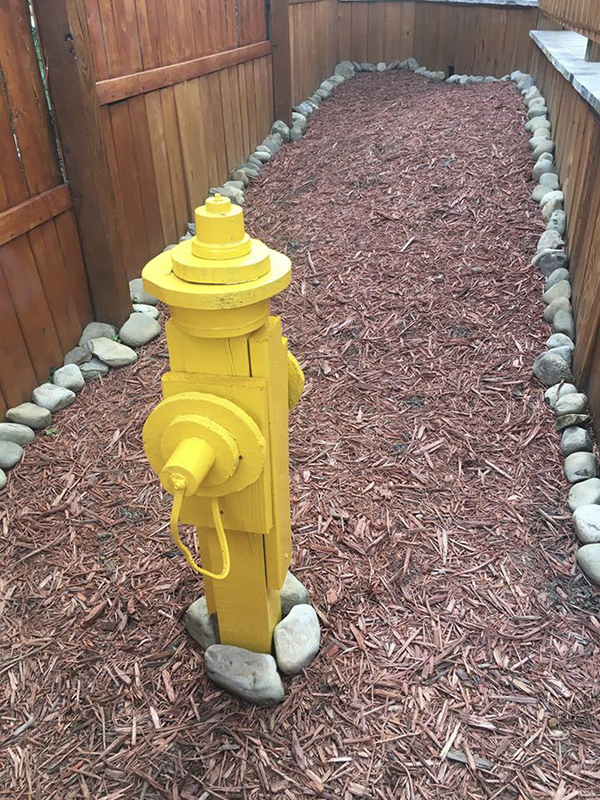 A few years ago, Franks came up with an idea to do something amazing for his canines, so he turned his backyard into a dog playground. 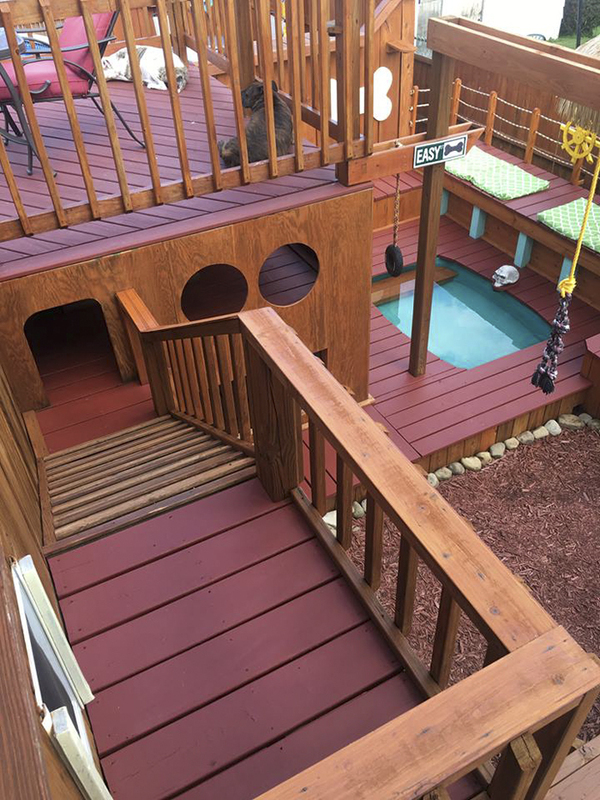 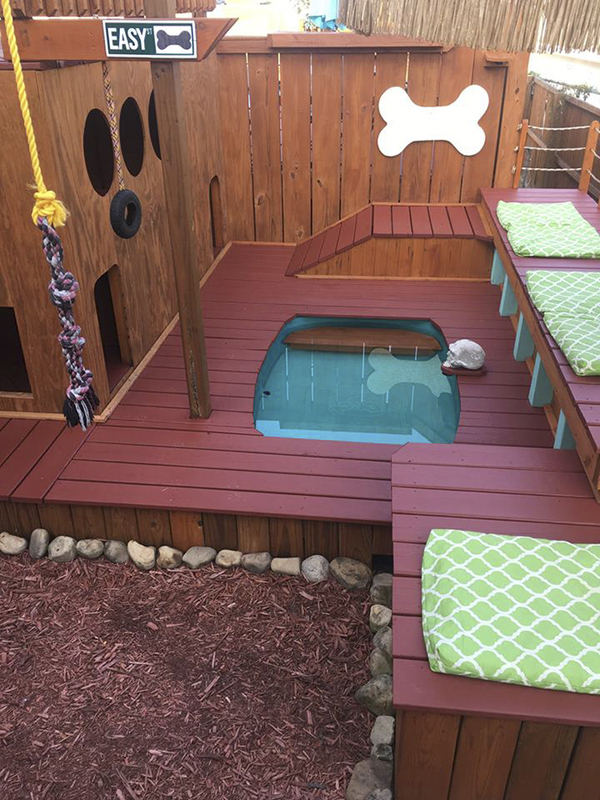 Today, the playground has three layers, lots of fun things to do, and even a pirate-themed pool for the canines to enjoy. 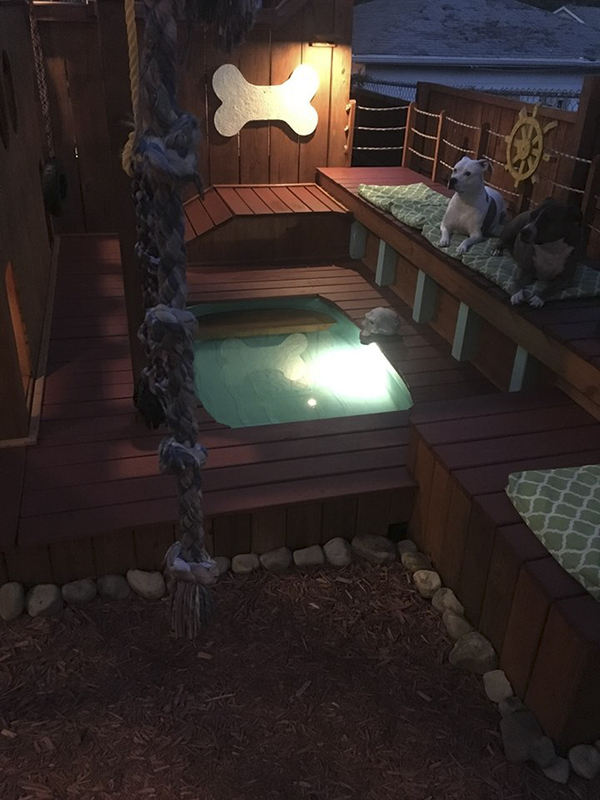 Oh, and in the evening, the whole thing lights up. 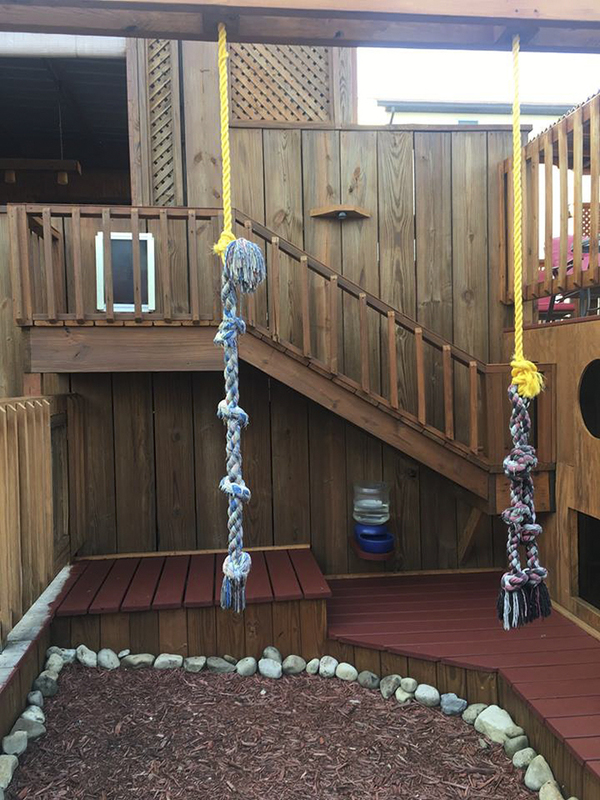 No wonder the playground is a real hit with the dogs.